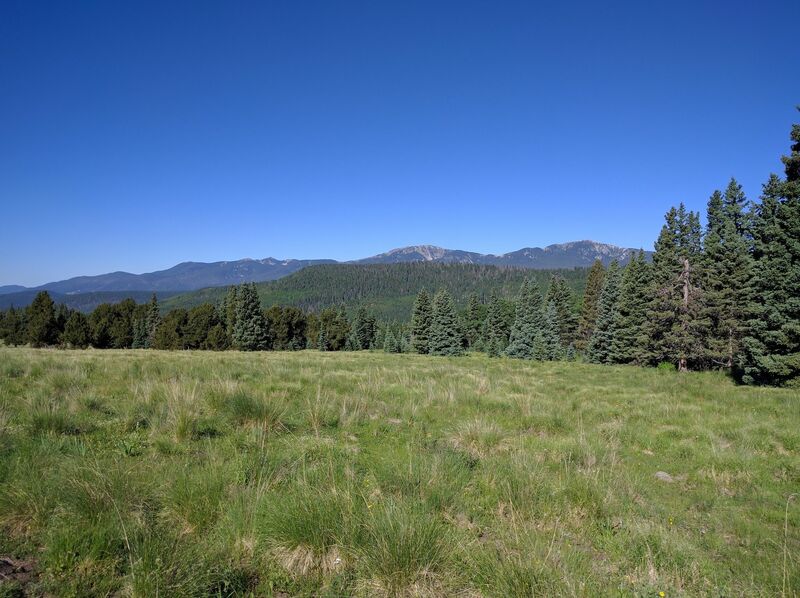 Looking for a great trail in Pecos Wilderness, New Mexico? 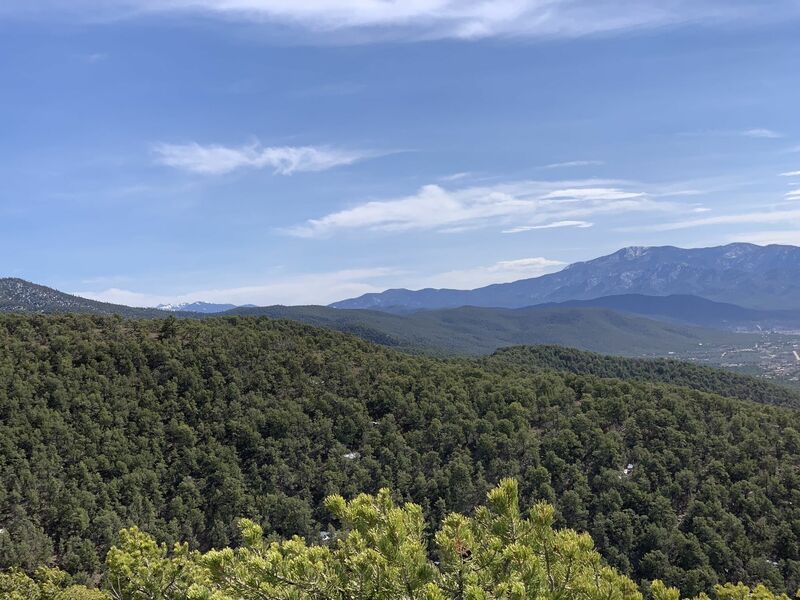 AllTrails has 30 great hiking trails, trail running trails, views trails and more, with hand-curated trail maps and driving directions as well as detailed reviews and photos from hikers, campers, and nature lovers like you. Ready for some activity? 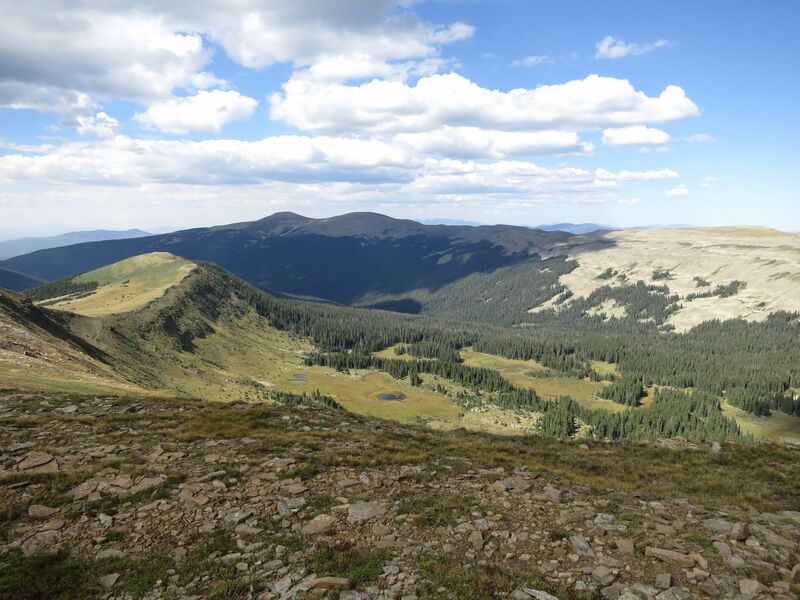 There are 17 moderate trails in Pecos Wilderness ranging from 5.4 to 26.9 miles and from 7,162 to 12,834 feet above sea level. Start checking them out and you'll be out on the trail in no time! 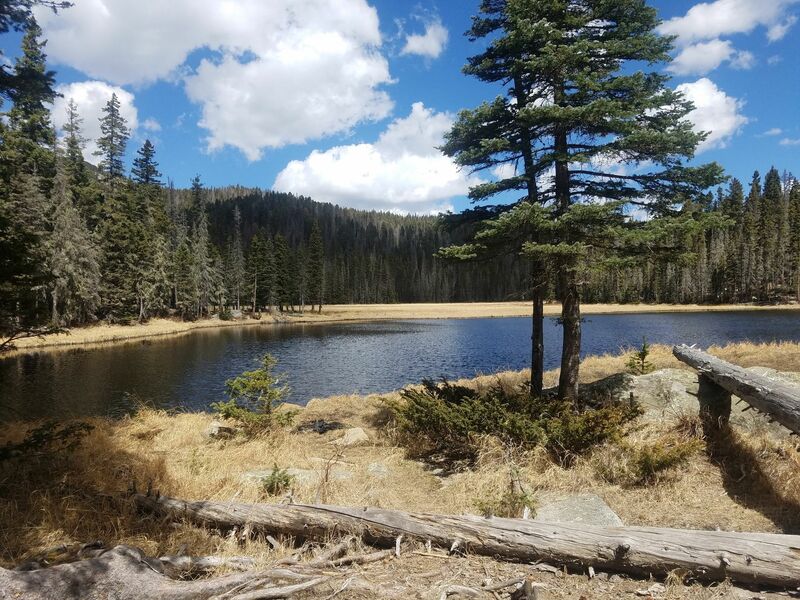 This wilderness area in the Santa Fe national forest has a great variety of high peaks and ridges, pocketed lakes, and cascading creeks. 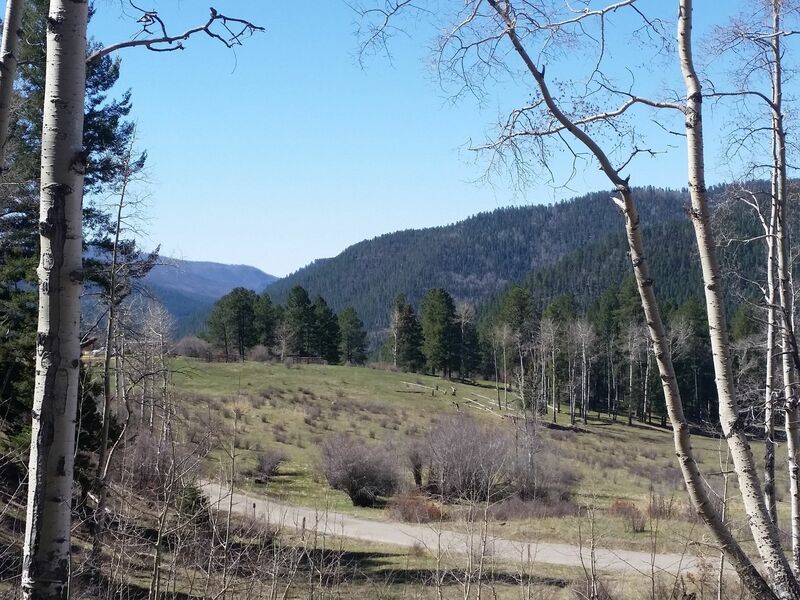 Access points on all sides provide ample recreation opportunities, while the large size of the area makes solitude possible. Very nice quick walk. Would recommend to anyone without a lot of time. Very nice early morning. Such a nice trail! Steepness varies to give you some rest. 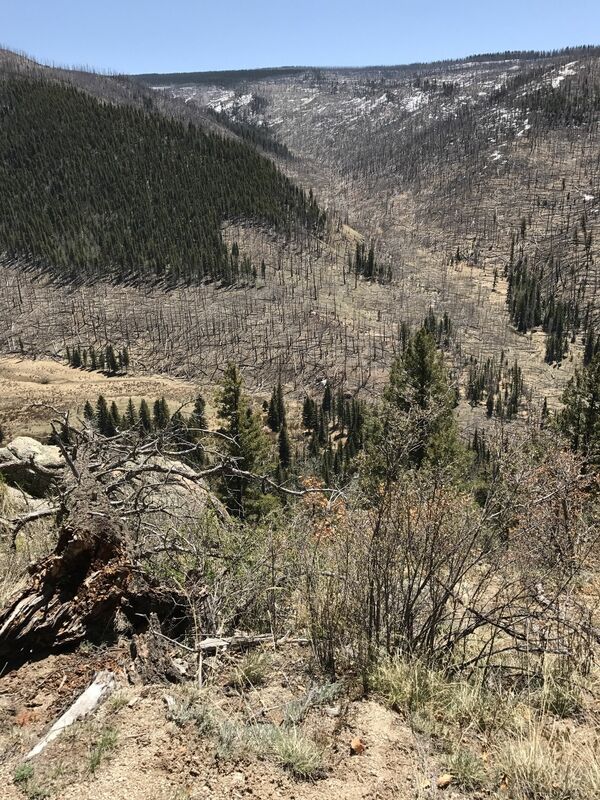 Definitely a LOT of blow down in some areas that you must find your way around (April 15th). Pretty intense hike for a 41-year-old dude from Austin. 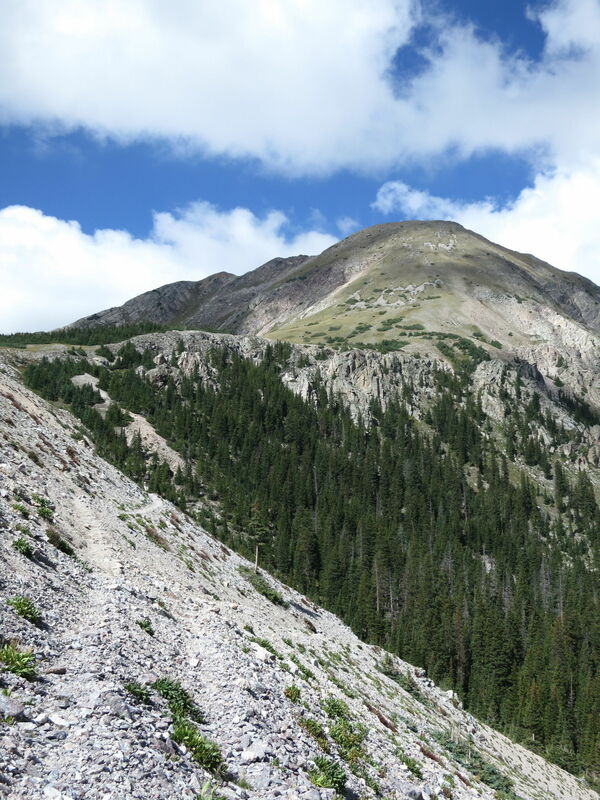 It has it all - steep grades, snow, mud, shade, and no shade. Oh, and amazing views. 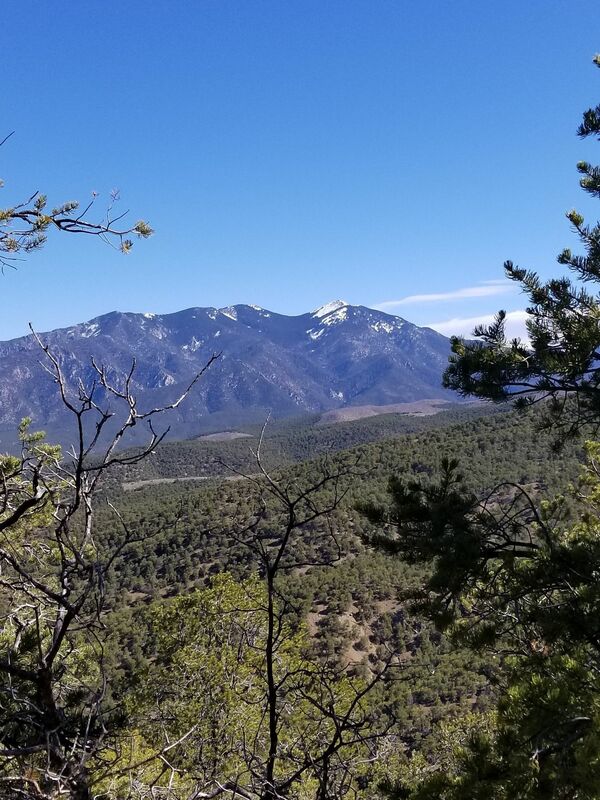 This trail is a great way to see the views of Taos. If you take a right at the loop, it continues to go up in elevation to three separate peaks, each one higher than the last. Water is definitely needed as the gain is over 1,300 feet. We went in the morning on a cloudy day in the beginning of February. The trail was extremely muddy, but was still frozen when we first started out. By the second half, it started to warm up and became very unpleasant. I would recommend waiting for the trial to dry or go early in the day while it is still cold enough. I took this path as an exit after a week of back woods trekking through the wilderness. 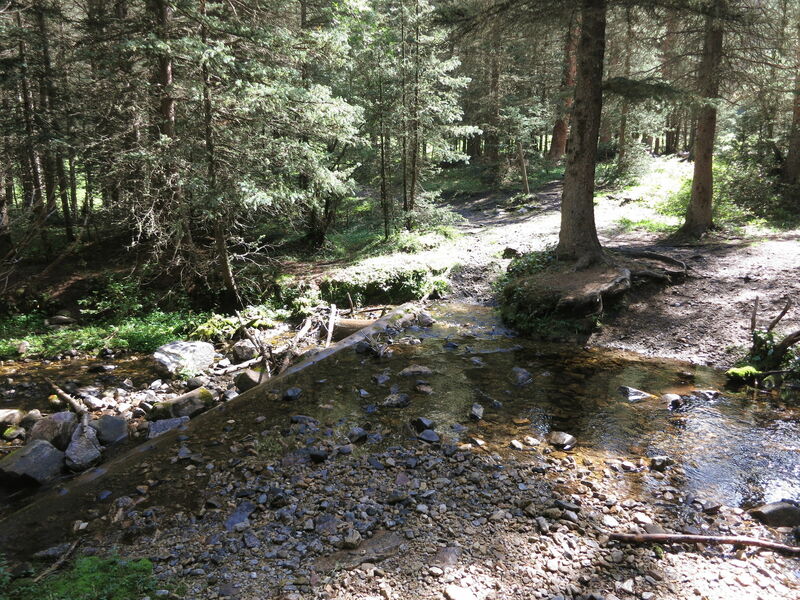 The trail is well maintained and has places for water (streams and small pools). Weather is cool/slightly warm during the day and cool/cold at night during the peak season. 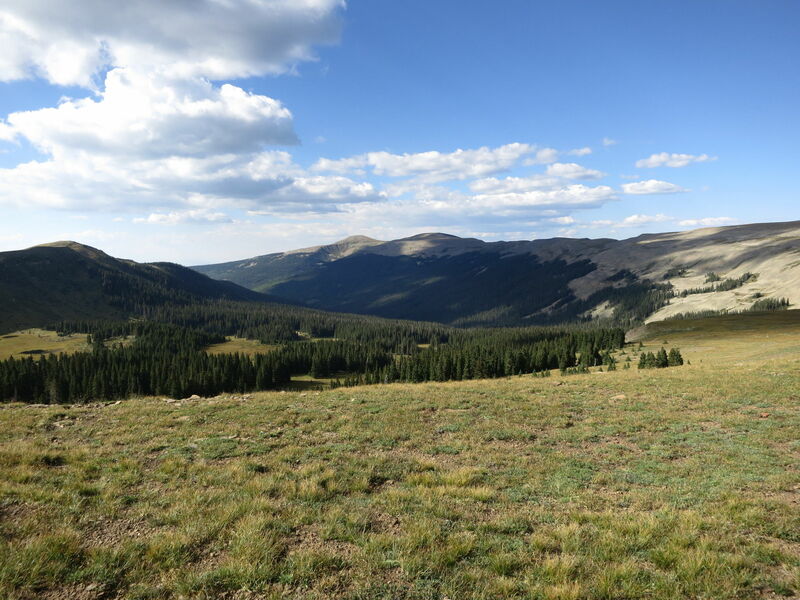 The area is rife with beautiful views, crisp mountain air (whatever you can get at 10,000+ feet) and meadows that seem to exist in another world. Be prepared for the back woods if you plan to venture into this area, I went with seasoned veterans and realized how under prepared I was for the adventure. Side note-There are some wind fallen trees that bar some paths to the point of being incapable of traverse. Though these paths may have been cleared by now. No cell phone reception unless you are on top of mount baldy or trail riders wall. 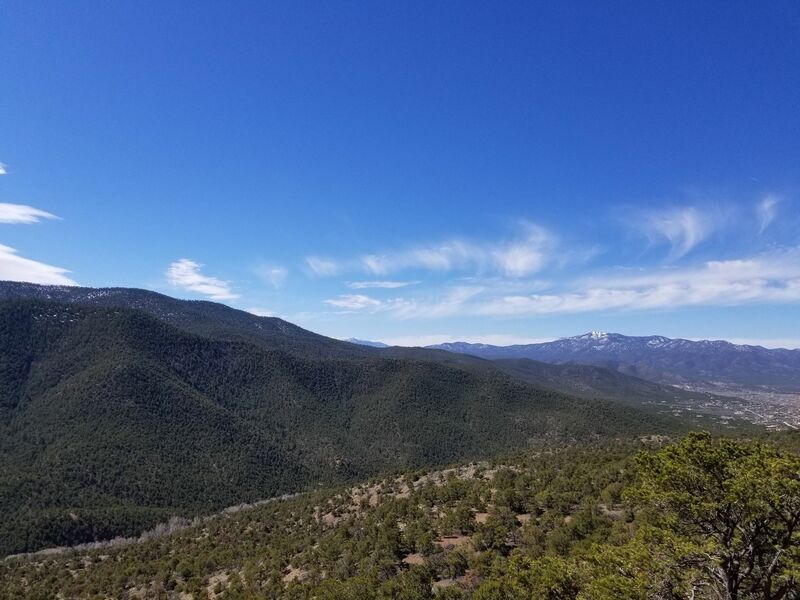 November 3, 2018: I loved the hike! It is moderate but nonetheless demanding. Especially once you start hitting the snow the higher you go. Super rewarding hike, it’s a beautiful view! Epic! like one of the other post side two biodiversity between the forks is just amazing! 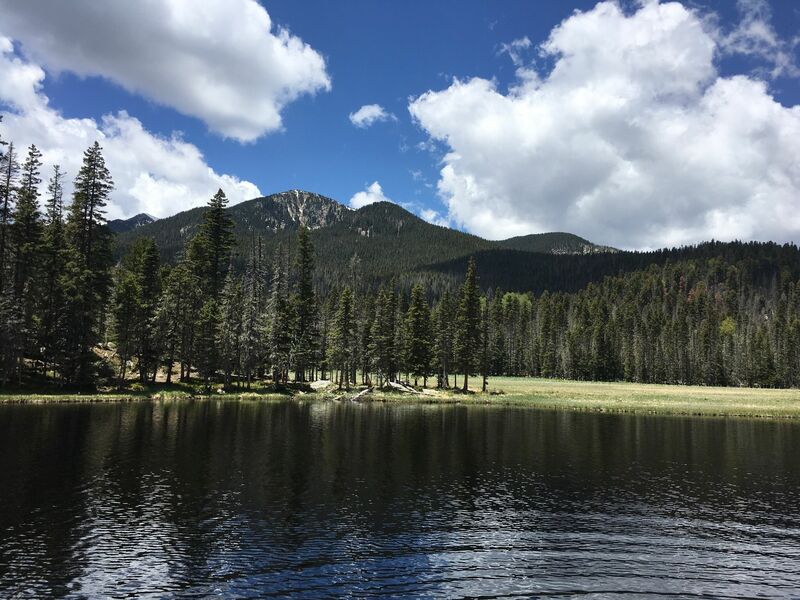 Went for 3 Days 2 nights, 1st night camp at no fish Lake, on the west fork. the next day bagged North Truchas Peak. 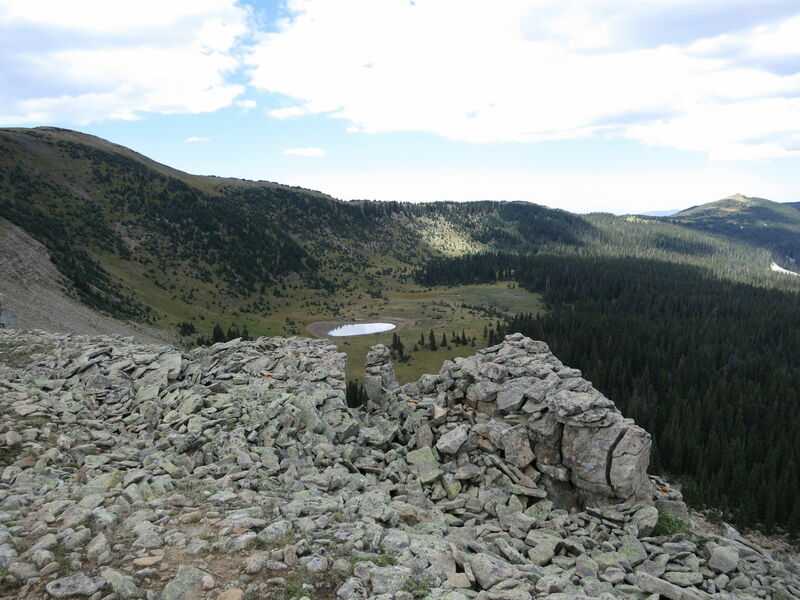 Then walked the skyline divide trail. Seen Bristlecone Pine on the edge of Chimayosos peak. Lots of big horn sheep. Came down the middle fork. Definitely going back next summer. 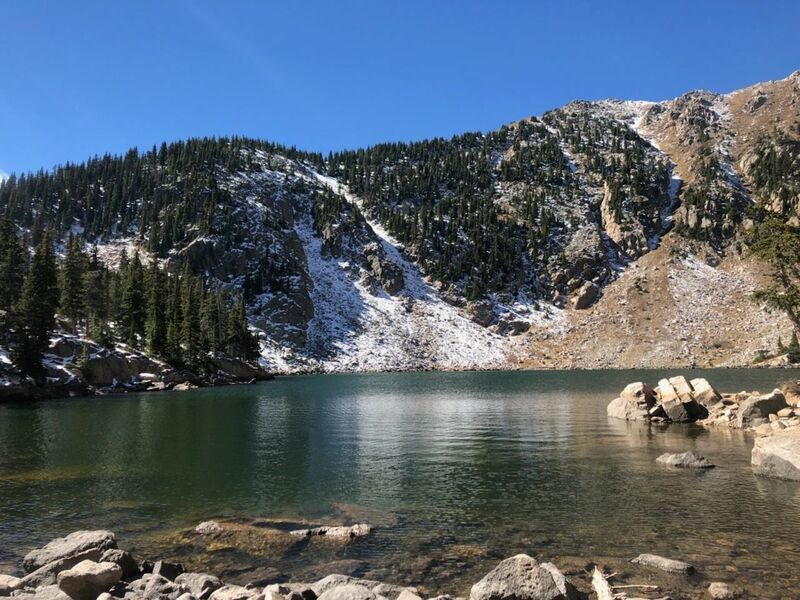 My husband and I hiked to Pecos Baldy Lake on Saturday 10/6. 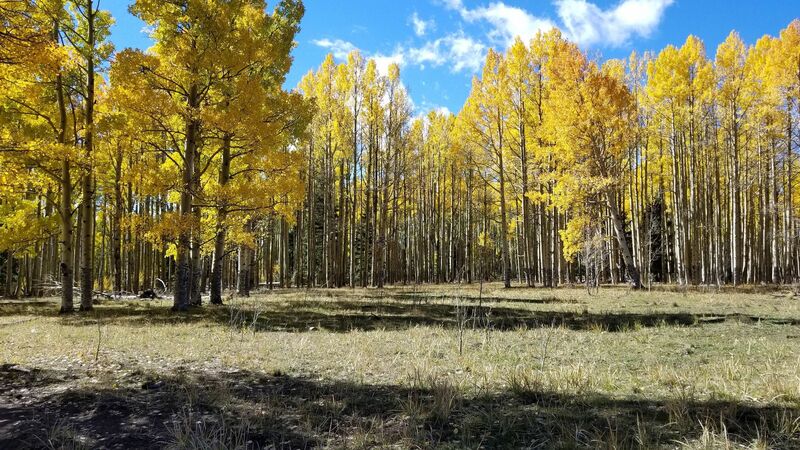 It was absolutely spectacular with the fall colors. The road to Jack's Creek is paved the whole way, and there was plenty of parking by the trailhead (which is at the top of the equestrian camp area). The trail is easy to follow. The trail junctions are well-signed. Our dog was able to get water from the creek in a couple places, but there wasn't much, so I wouldn't count on it this time of year. We only saw a few other groups all day, mostly hunters on horseback and a couple backpackers. I stopped at the lake while my husband continued on the peak. We clocked it at 15.0 miles roundtrip to the lake with the peak adding on almost 2.5 miles extra roundtrip. 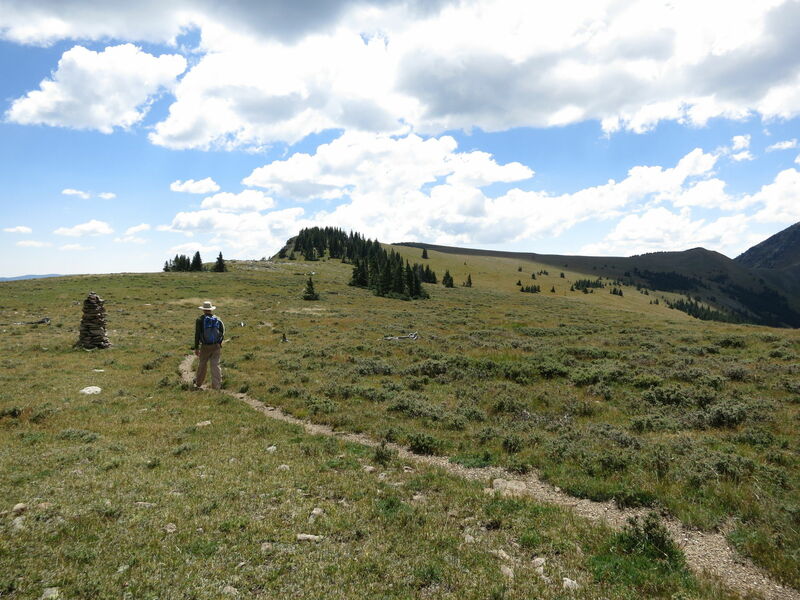 We did not see any bighorn sheep, only a few herds of cattle in the meadows on the way back. Highly recommended! It's nice forest, and OK views. But because of the proximity to town and roads, there's road noise for at least 2/3 of the hike. We went clockwise on the loop, which made this the easy side of a moderate hike. We were glad we did, because the steeper side is in direct sun, with no shade. 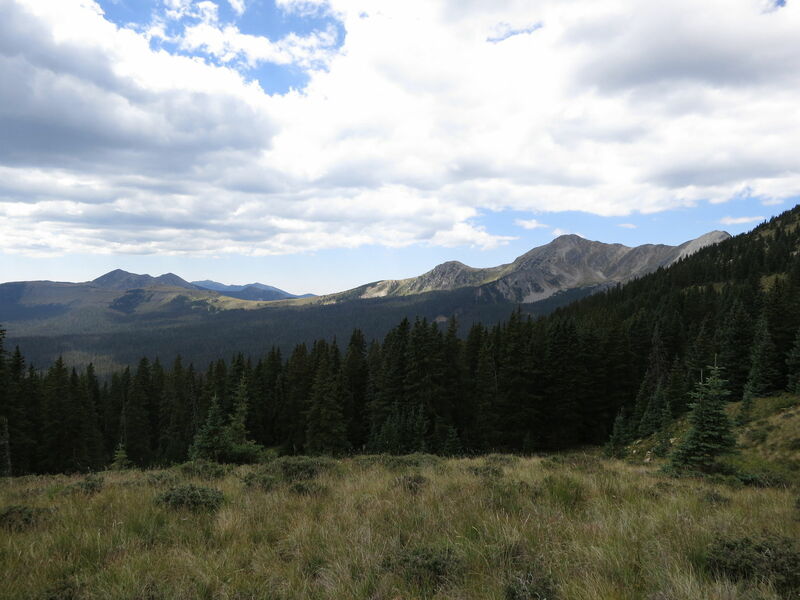 I don't think I'd do this hike again, there are too many trails to explore! Be prepared for this trail. It is not moderate, it is hard for a 50-years old person who does not hike much but pretty fit. There are couple of suggestions: get acclimatized before you go; be prepared for long steep hike. 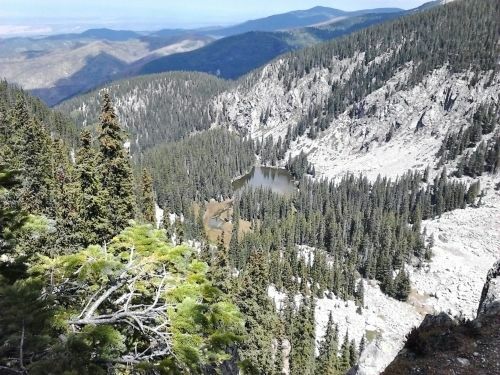 There were hikers on Windsor trail up to Skyline trail, but we have not seen anybody from Baldy turnoff to lake Katherine and back (we used Skyline trail that goes east and meets Windsor trail to come back) the other day. So, be prepared if you get lost. 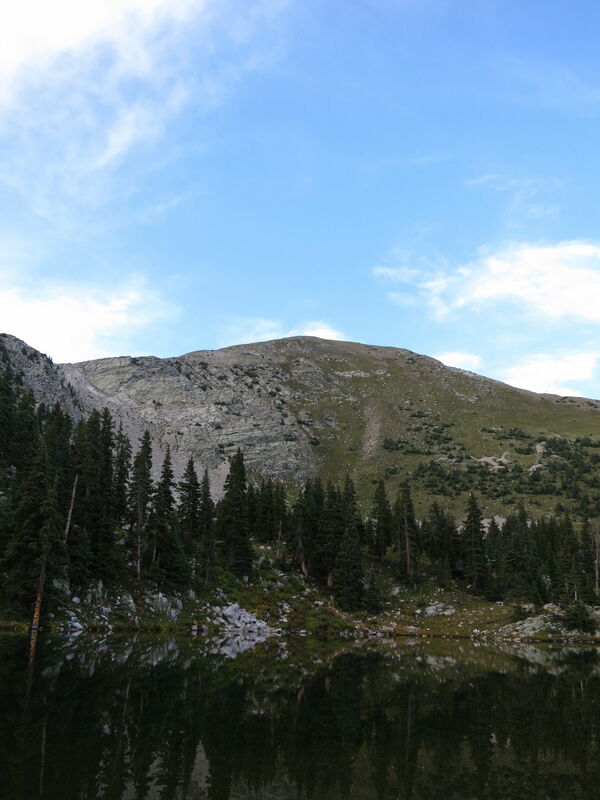 We camped before we reached the lake and hike to the lake in the morning. On the way back, "east" Skyline trail from Katherine lake to Windsor Trail conjunction is not properly marked. 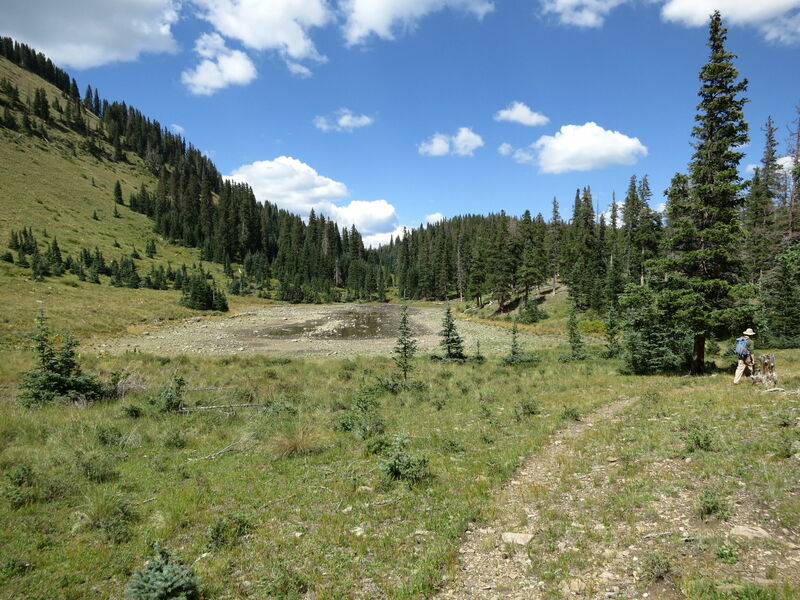 There is a trail there, it is not far from Skyline trail and comes to that junction, so, do not worry if your GPS will show that you are off Skyline trail on your way back. Take a piece of paper and a pen to leave your names at the trail head, just in case you get lost and rangers look for you. The distance is not 13 miles, it is over 15 miles. It took us about 8 hours to get to camping before we reached the lake, we stopped three times for 30 min, and many times to catch our breath. No phone coverage. 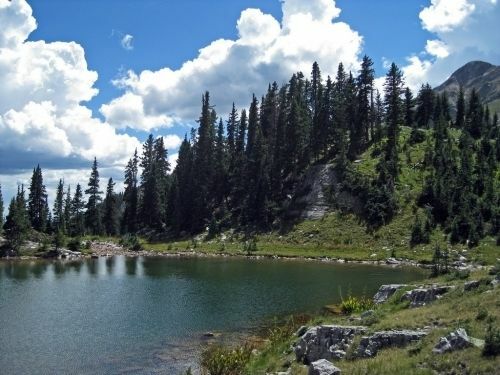 A great backpacking/hiking destination. The fall foliage here is amazing. 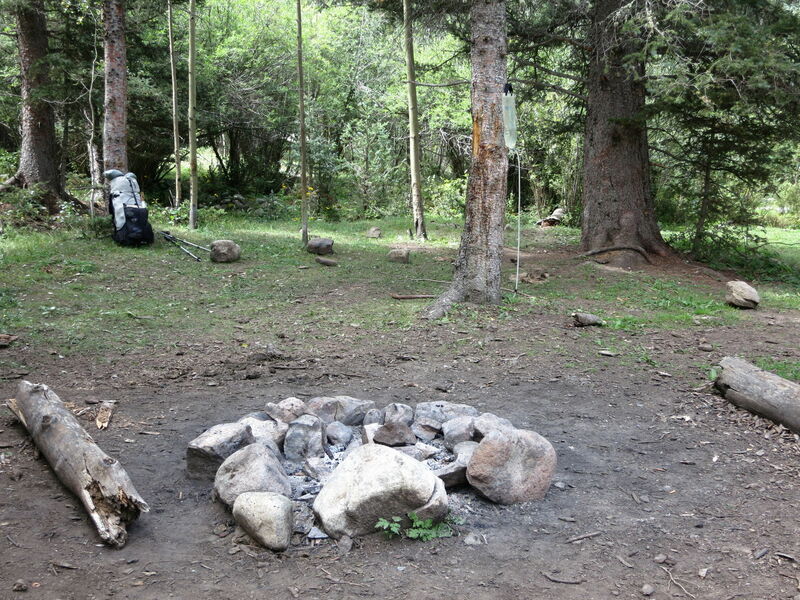 There are some great camping spots about 4 mi in on the west fork trail. Plenty of water there and on the way up. 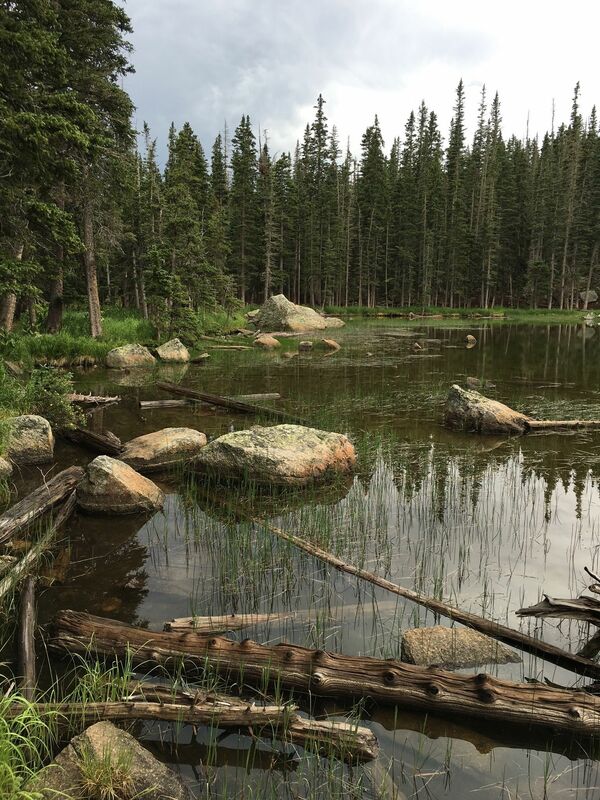 Check out the beaver dam in the area and hike to Chimayosos Peak, the falls or one of the lakes if your up to a strenuous day hike. I’ve backpacked here several times and will definitely be back. 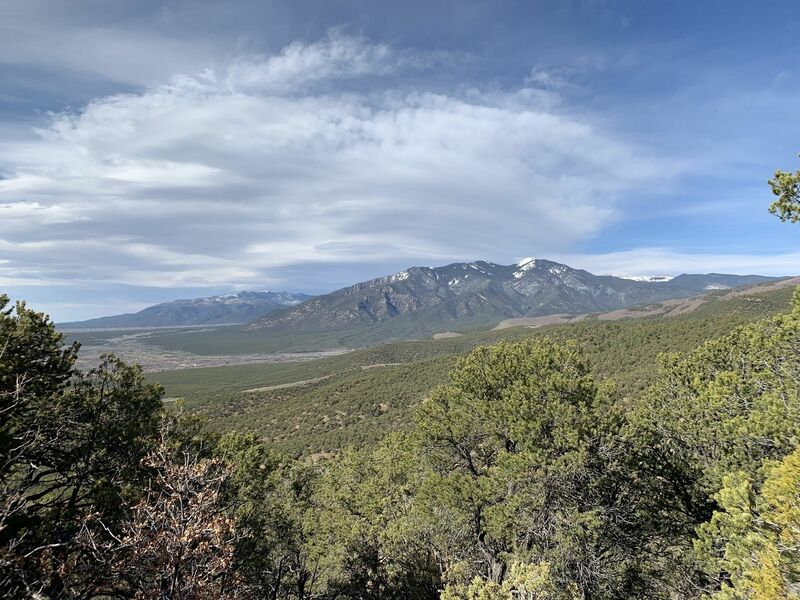 Great hike right outside of Taos! We had limited time in town, so we camped near the trail and it’s right as you enter the forest. Not super crowded, but lots of locals use it as their morning workout. 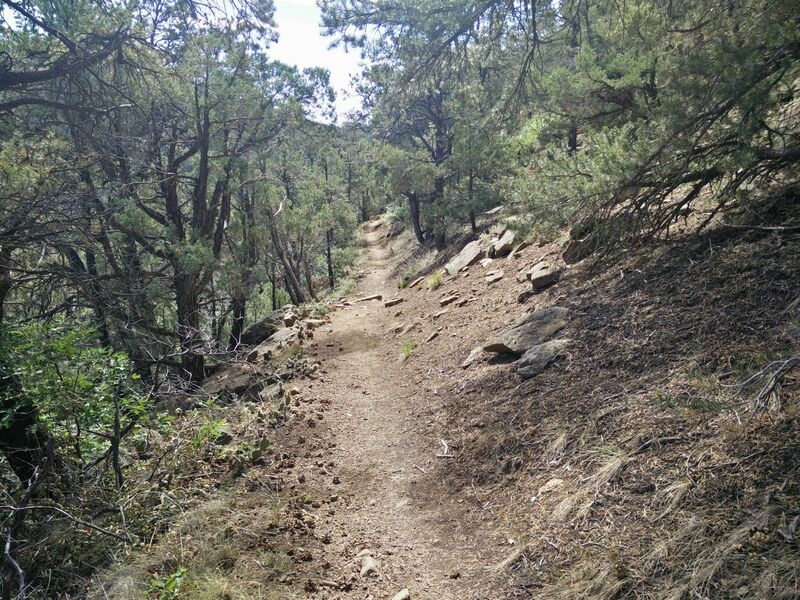 If you take the “peak” trail, it’s more direct up hill but quicker. The loop, this map, is the trail that bears LEFT at the first fork in the road, about .75 miles into the hike. Adds .8 miles but more gradual incline and shaded areas on the way up. 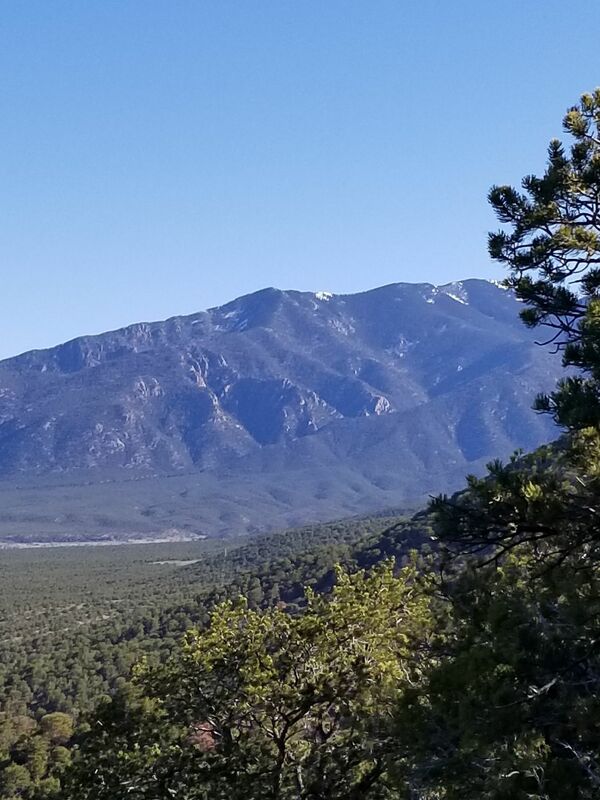 Views of Taos and the mountains are STELLAR and we loved the different terrain you encounter. I second Stephen's comment. The direct descent from Baldy to the lake is possible and I did it today, but it is about a 45 degree pitch for almost the entire 1000' drop with a few really tricky spots. 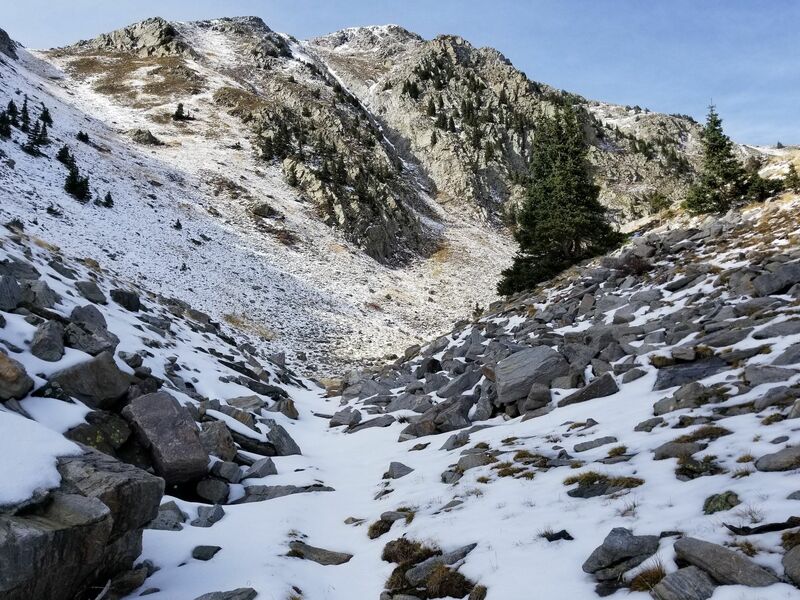 Based on looking back up from the lake, I think a better route is to start from the middle chute and then traverse to the north about half way down but it's hard to be sure. Be prepared to bail out and climb back up regardless of which route you take. Very difficult and dangerous. I've been to Pecos baldy lake once this summer (Memorial Day) and then hiked a different loop (Cave Creek/Horsethief Meadow/Dockweiler/Jacks Creek) but again camped at the junction of Dockweiler/Jack's creek in August. There actually was water both times but the creek runs dry intermittently. 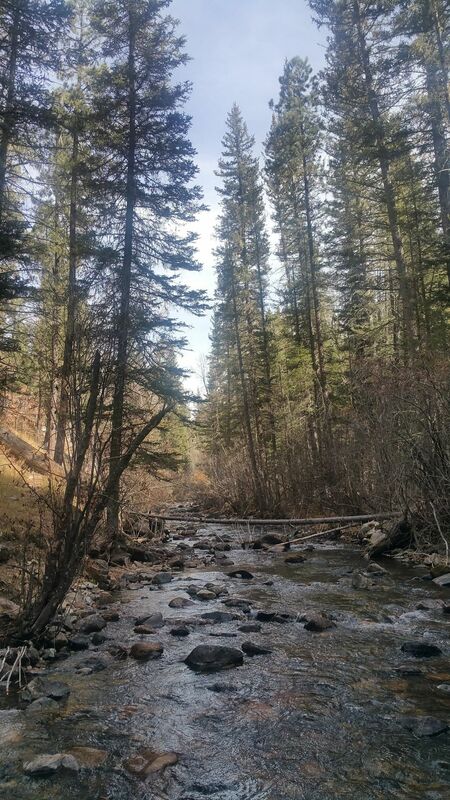 In May and August the creek was dry where the trail crosses the creek, but if you go upstream like 20 feet there is water flowing. Not sure how it is this fall though, if anyone knows please comment! We're planning on heading there one more time this season. 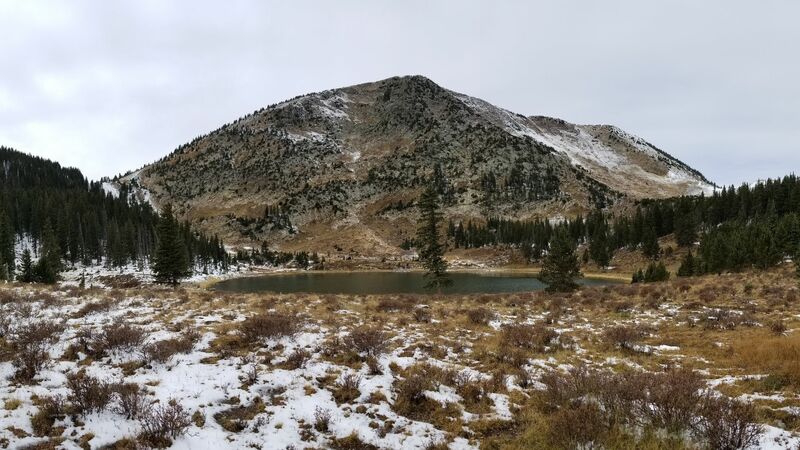 Made an overnight loop going past Lake Katherine to Spirit Lake then merged back with the main trail. 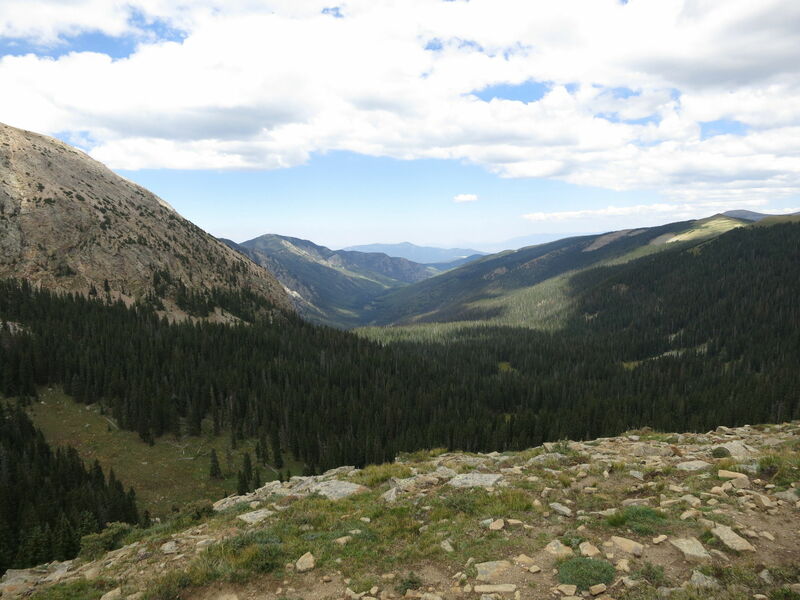 Forested section to Spirit Lake was boring, but not difficult at all. 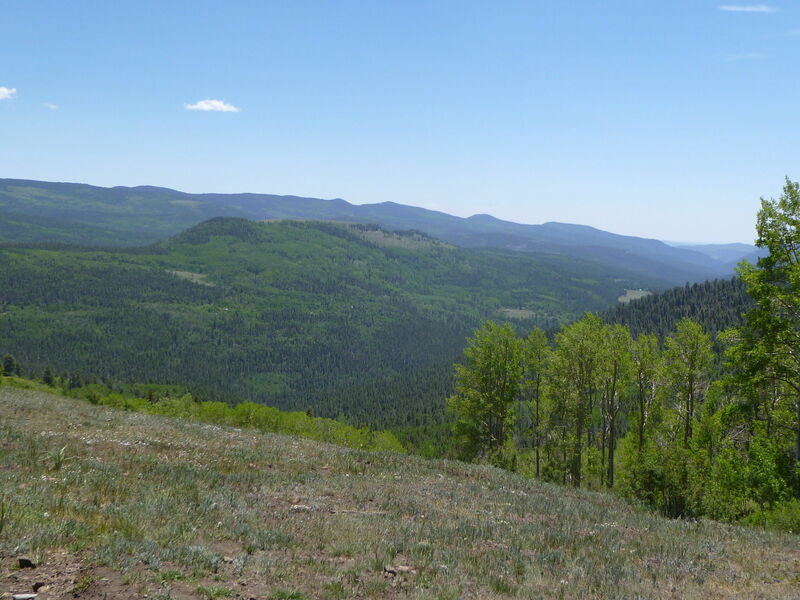 Going up Santa Fe Baldy is worth it. Beautiful trail with wildflowers and river. The caves are about 3 miles in on the left, easy to miss if you aren’t looking for them. Just finished this solo. 4 day 3 night. Amazing trail. Well marked with minimal deadfall. I did counterclockwise up Beaty’s to Skyline then West to Jack’s creek South. Didn’t summit anything as the weather was schizophrenic. Rained and hailed 80% of the time, so, plenty of water. Woke to ice covered everything on day 3. Lots of thunder and lightning shows. Had a coyote play hide and seek for a couple of miles on day one. One of my favorite hikes! 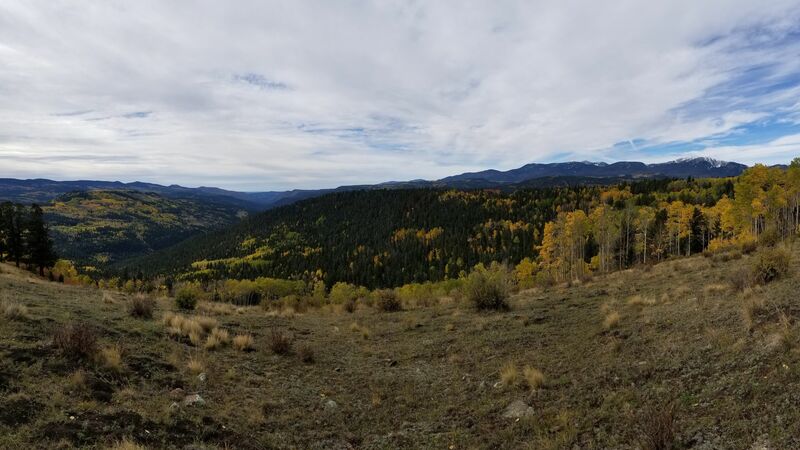 This was my second time hiking this trail, its such a beautiful hike. There are vault toilets at the trailhead FYI. 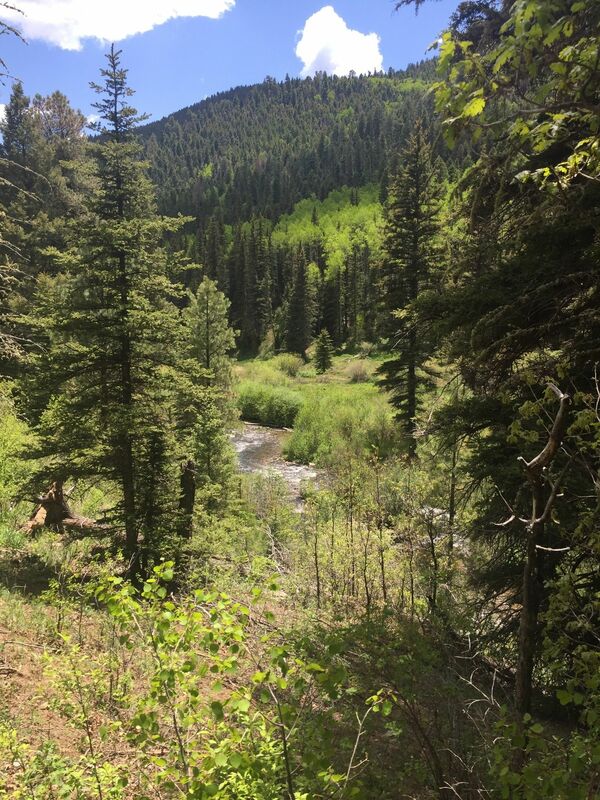 Beautiful Hike! Very steep. This is on the hard side of moderate, so make sure you're mentally prepared for it. Very worth the effort. 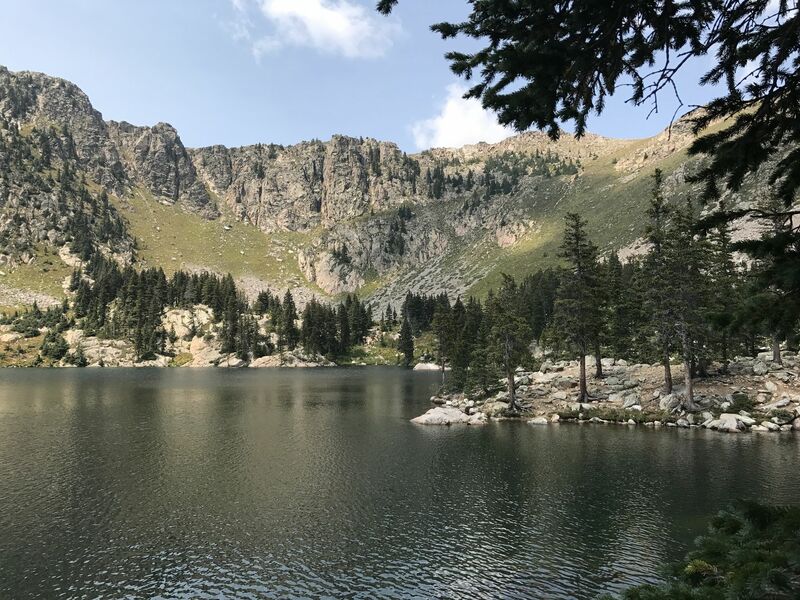 Lake Katherine has amazing camp sites and a gorgeous view. We got somewhat lost towards the end, but were able to find our way eventually. 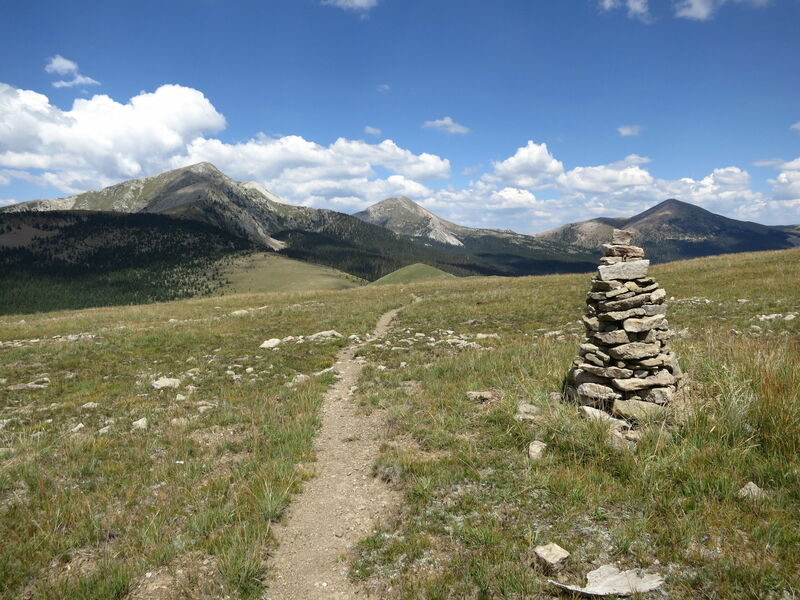 Make sure to follow the piles of rocks laid out, as the trail isn't mark well beyond that. Very active trail, with tons of experienced hikers. If you get lost you'll always have someone to help! We camped in one of the sites with a shelter at the trail head and found this trail. It was an easy hike that followed the stream. We missed the caves on our way in but found them on the way out... they are just a little bit after the creek crossing. One perk of this trail that might be worth looking into is the connector trails it meets. 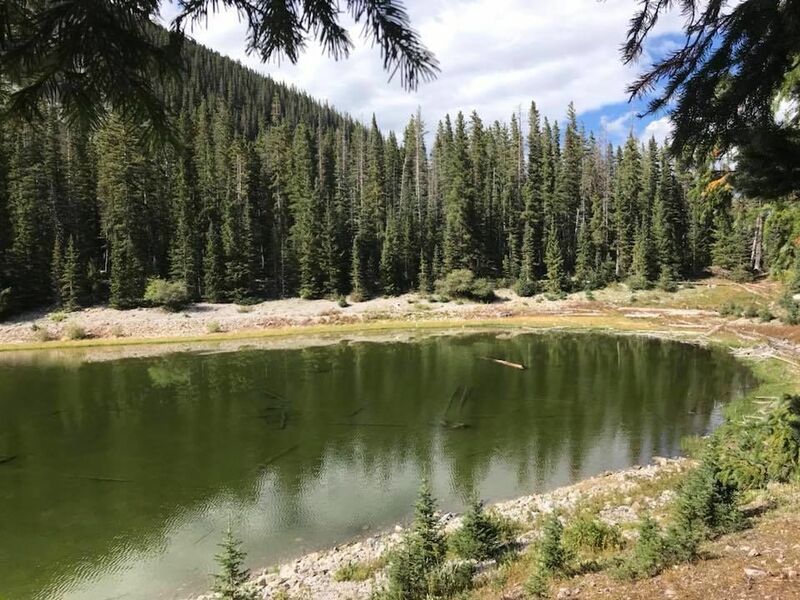 It seems you can get to other trails that would make for a good loop for a decent backpacking trip throughout the Pecks! 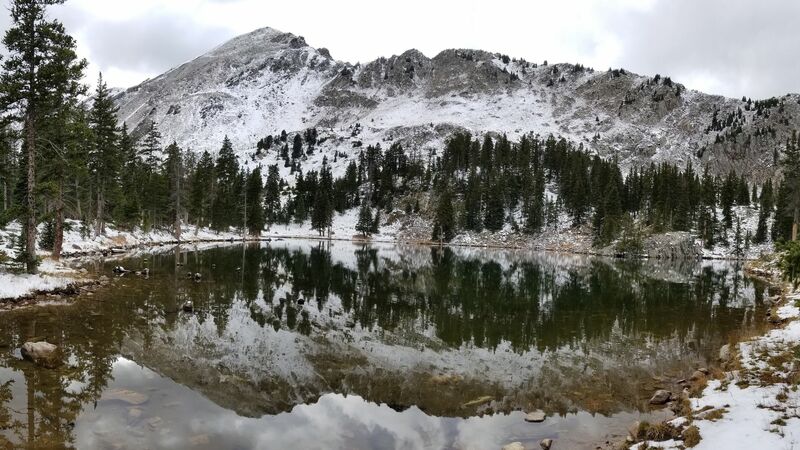 My husband and I hiked this on Sunday 8/19 with our dog. 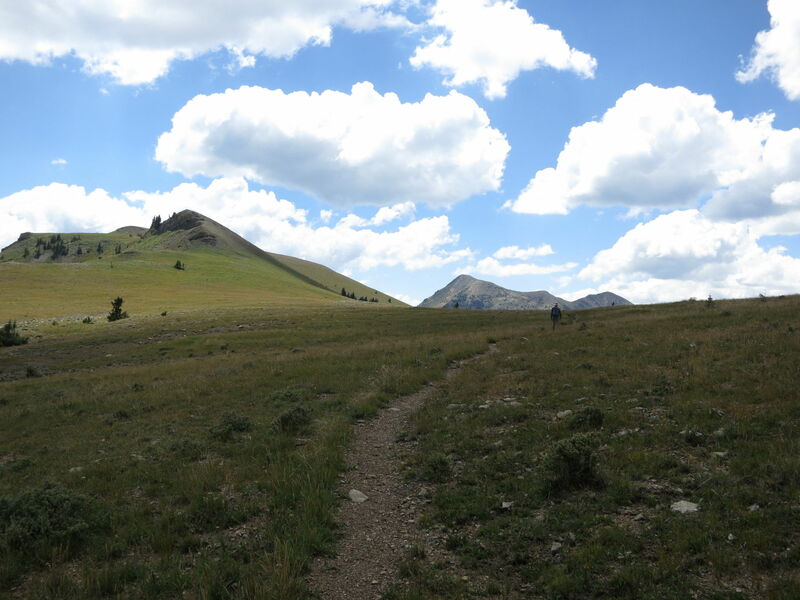 The Winsor Trail to Spirit Lake is very well-maintained and easy to follow. Spirit Lake is smaller than nearby Lake Katherine but still nice. We didn't see anyone else going to Spirit Lake. (Most were going to Nambe Lake, and the few that weren't went to Katherine.) We didn't see anyone else after the Katherine turnoff. We did see a small herd of cattle near that junction both times. Lots of water flowing in several spots for our dog. 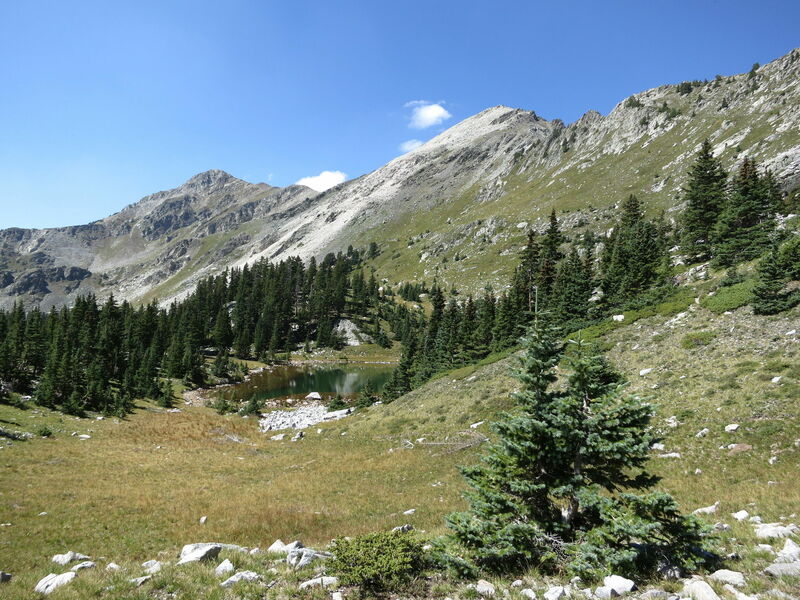 We ended up making a loop and continuing on to Lake Katherine via the Winsor Trail to the Skyline Trail; that portion of trail from Spirit to Katherine was difficult to follow with many downed trees--just an FYI for anyone planning to hike that route. 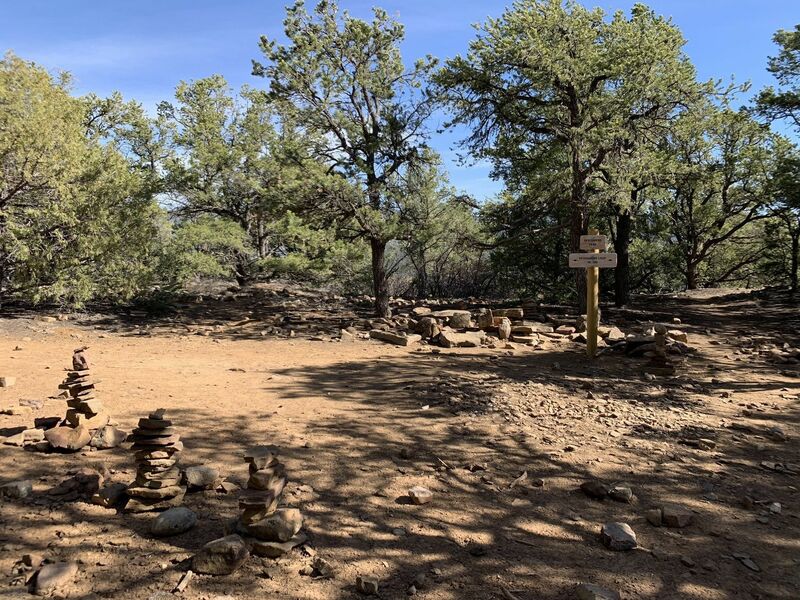 My daughter and I just backpacked out from Pecos Falls (Pecos Trail) up Gascon and down Hamilton Mesa to Iron Gate (campground and trail head). 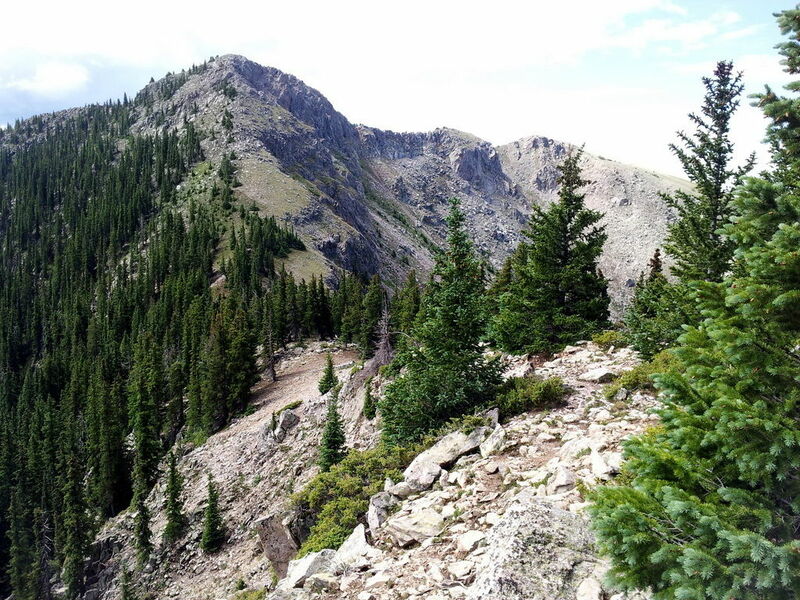 I would have to agree with Naomi Cicada that it was a terrific experience and hike. 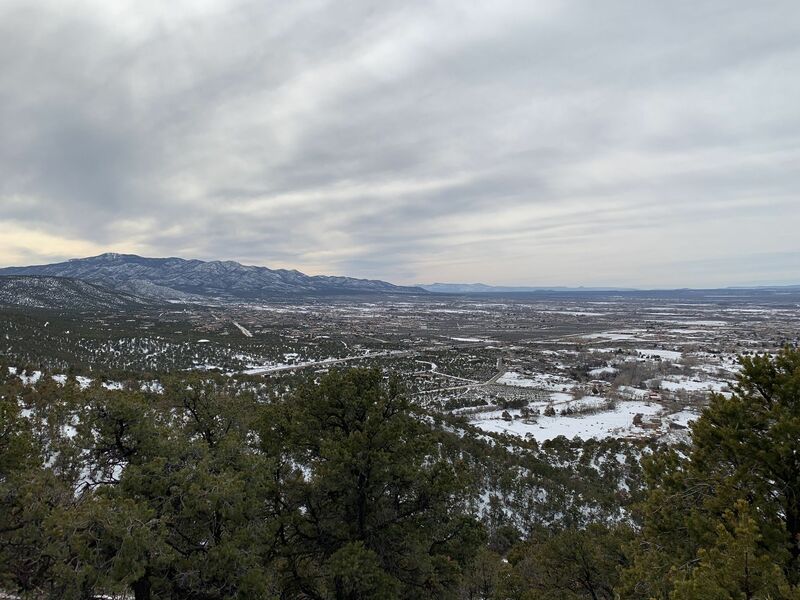 Gascon is a short but steep trail with many fallen tree obstacles, but once on Hamilton Mesa trail, the views are wonderful! Well worth the effort. Beautiful hike! 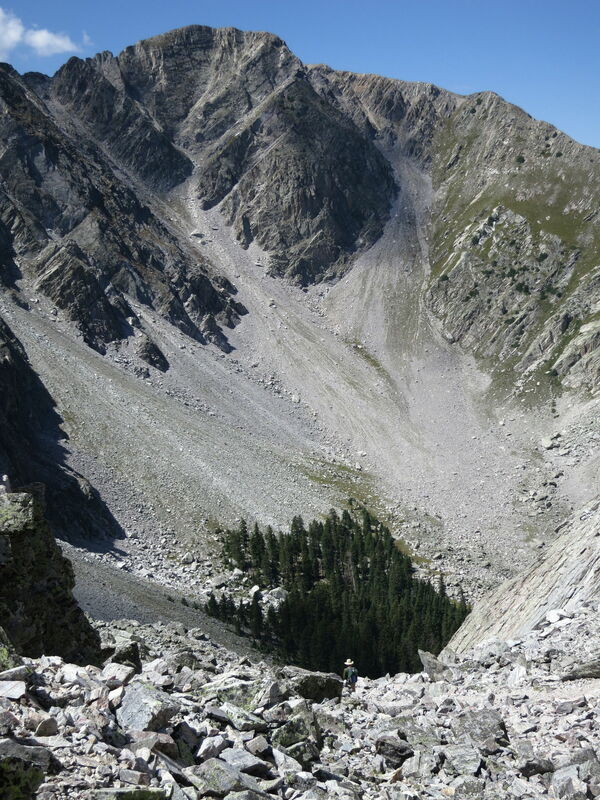 Steep and a little rocky toward the top and the switchbacks going down from Baldy to Katherine are very narrow. For someone afraid of heights (me) it seems scary at first but is manageable and the views out are incredible. 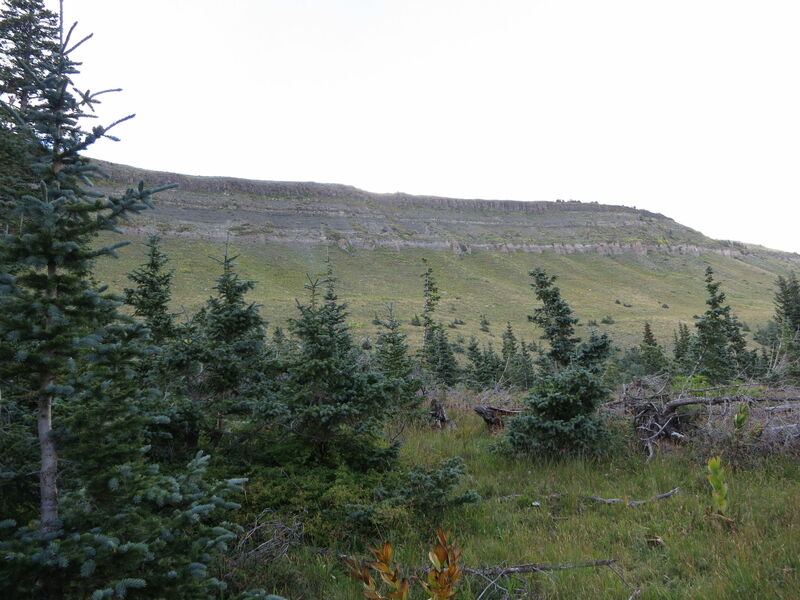 We backpacked out to Katerine, camped over night, and hiked out on Sunday. The lake was busy but everyone was spread out enough that you didn't notice. We did the hike in in about 4 hours and out in 3 with little or no stopping. Definitely recommend! 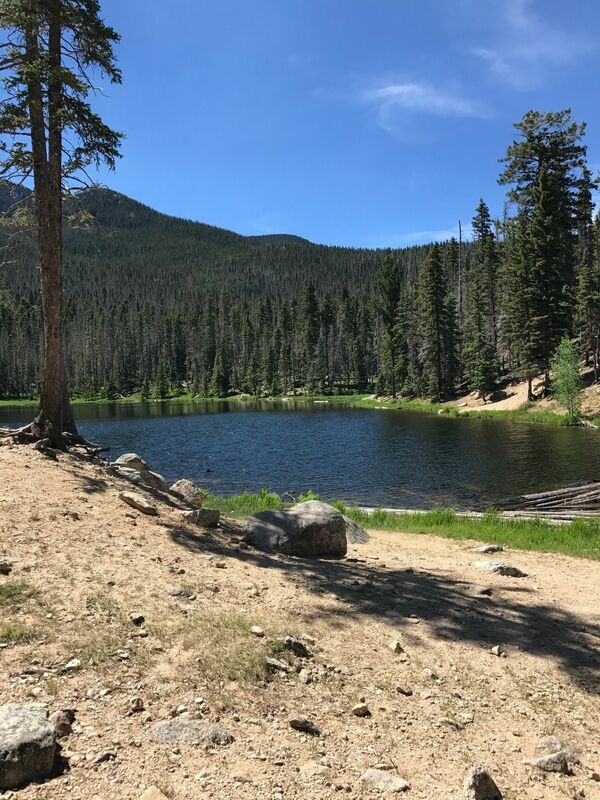 My husband and I hiked Serpent Lake and Jicarita Peak on Saturday 7/28 with our dog. From 518, take FR 161. There is a large parking area at the end of the road. The road is very rough in spots; I wouldn't want to drive anything without a decent amount of ground clearance on it. The first part of the trail was very muddy when we hiked it due to monsoons. There is also a lot of horse poop. 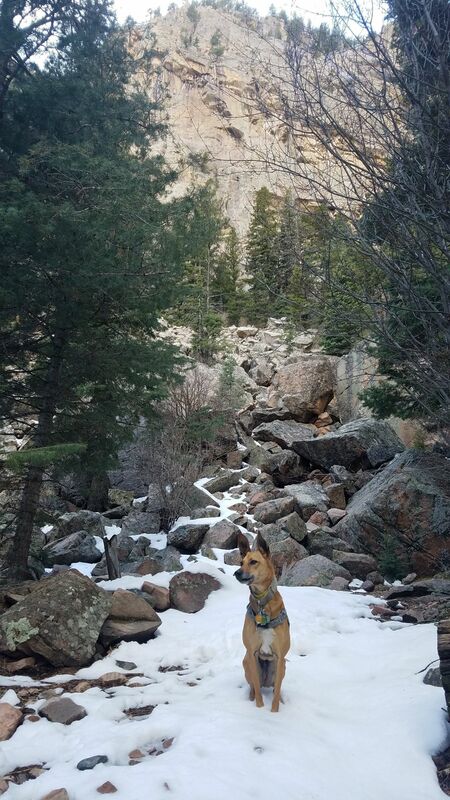 It is well traveled and easy to follow most of the way, though rocky. The only place we found the trail a bit difficult to follow in spots was across the saddle, but just keep heading toward Jicarita. 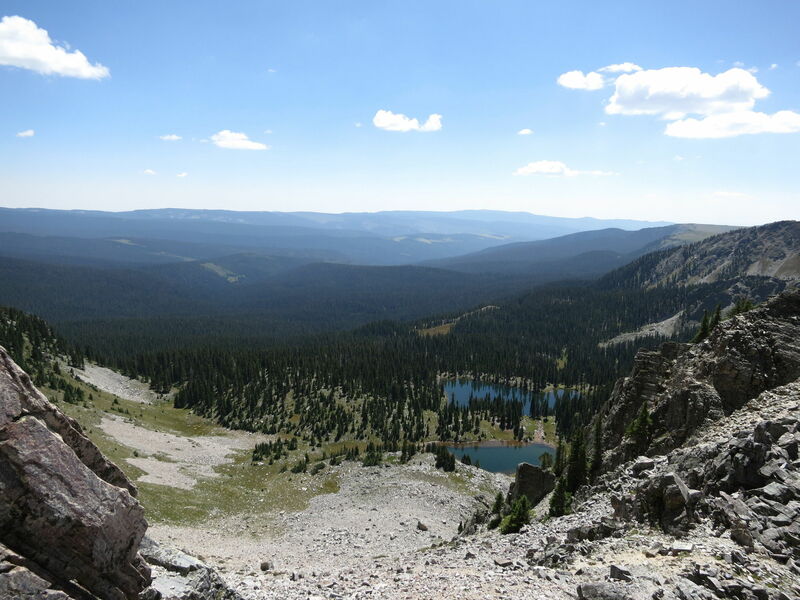 The views of the Truchas and looking down on Serpent Lake are great. We saw a large herd of pronghorns (I think?) on the ridge. They were several hundred feet away and hardly seemed to notice us on the way up, but then another group of hikers let their three dogs chase them. 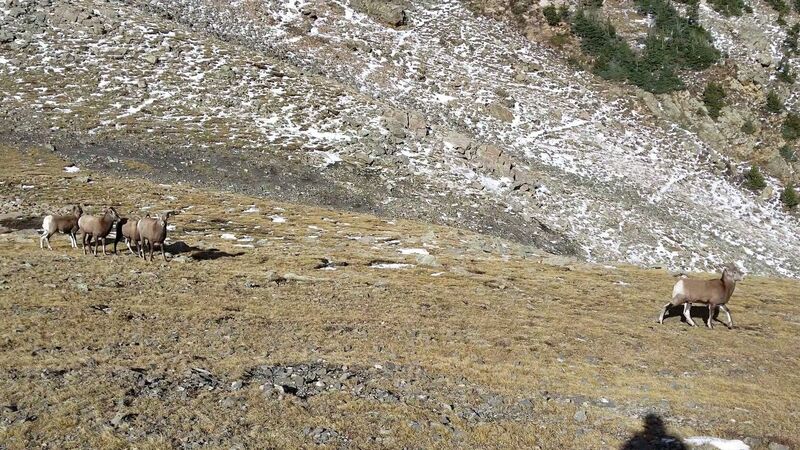 The herd had come up to the trail by the time we came back down, so we went off trail to give them a wide berth. 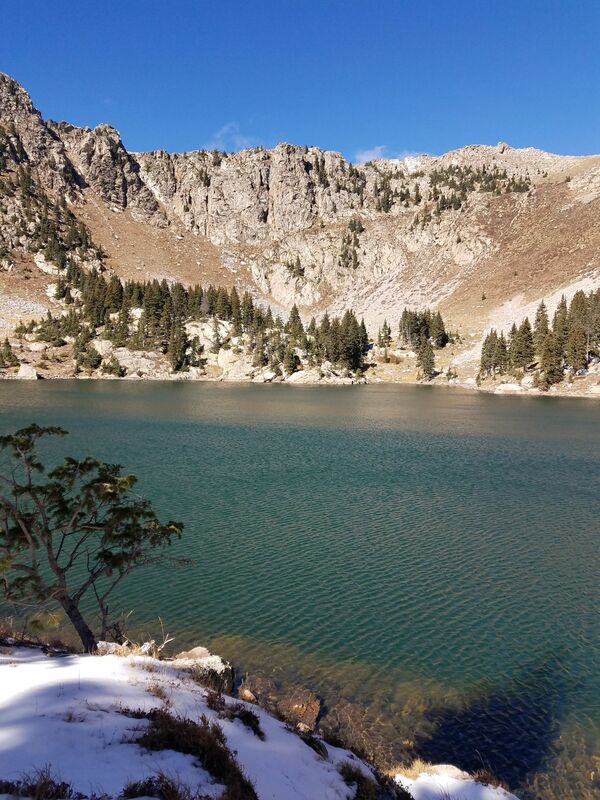 We ended up with just over 12 miles roundtrip with Serpent Lake and Jicarita Peak. This is a nice hike to get away from crowds; we only saw a few other groups all day. We took our dog and slept at Lake Katherine. Started out on the Windsor Trail and then took 254 past Spirit Lake and up to Lake Katherine. The trail from SL to LK was a little tricky to find (quick left after the stream and straight up). This section was much less maintained than the rest of the trail but we were still able to navigate it. LK is very pretty and the trail down (251) was an easy downhill. We recommend! This is a wonderful hike! It’s actually 15.2 miles, not 13.1, so plan on taking the entire day. Beautiful hike! We did it round trip in one day via the skyline route. 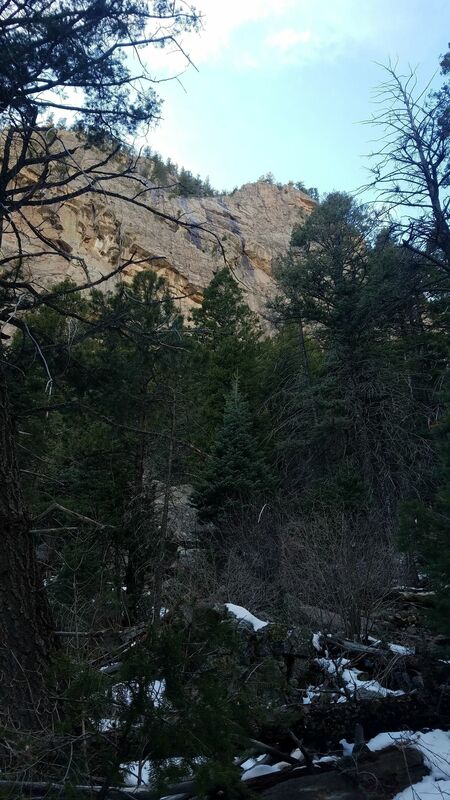 This was a hard route, straight up w/lots of rock climbing and the trail was hard to find. But using the app helped us a lot. My Apple Watch recorded the distance at 17 round trip. The lake was so amazing and worth it! Great hike. In from Ohio and was just the right distance. We did the loop trail. 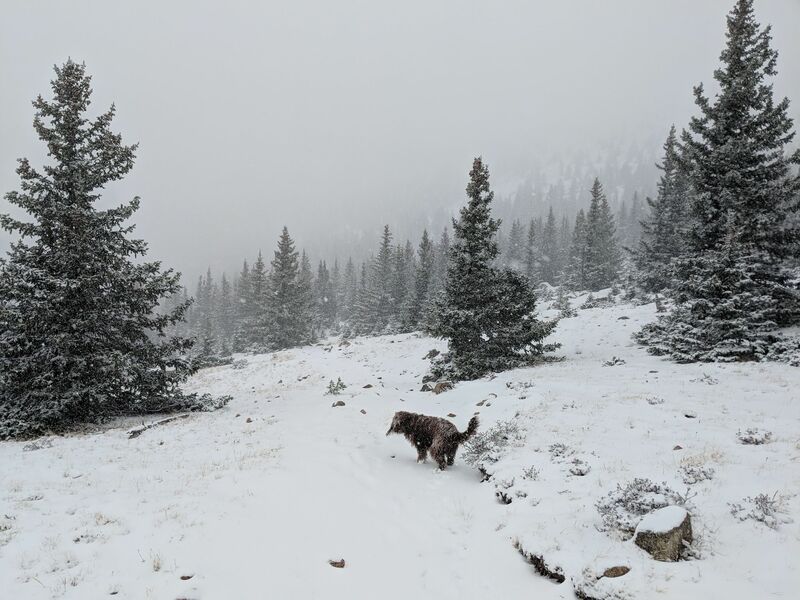 Patrick Browder recorded first day of winter!